Yes, it’s a mismatch of clichés, but at Magnum Venus Products, we’re closing out 2018 with a bang, and meeting 2019 head-on with the new! As one of the leading manufacturers of composite application equipment, MVP has been supplying a multitude of industries with highly customized solutions that support their manufacturing needs for over 60 years. Over the past year, however, we unveiled or released numerous innovations that were ground-breaking, transformative, and literally filled gaps in the composite application industry. This blog is a quick recap of what made 2018 a uniquely special and incredible year at MVP. In April, MVP, in partnership with the Department of Energy’s Oak Ridge National Laboratory (ORNL), installed what will be the first commercially available large-scale thermoset 3D printer at the Department of Energy’s Manufacturing Demonstration Facility in Tennessee. This machine has the potential to dramatically increase productivity for the additive manufacturing industry. In fact, the thermoset printer not only earned a finalist place for the CAMX award in Dallas this past fall, but also brought home the coveted ACE (Award for Composites Excellence). The ACE is awarded for the product most likely to impact new and emerging sectors while increasing composite use in existing markets. Cartridge Filling Station. Combining the convenience of cartridge autonomy and buying adhesive in bulk, the cartridge filling station features a simple user interface with a refill option that reduces waste and decreases production time. Talon Gun 2. Engineered to improve bottom lines and peace of mind, the long-lasting, durable Talon Gun 2 features advanced valve technology, precision pattern control, rapid access design, and more. All of these features will ensure consistent, desired flow with significantly fewer wear points. Containing fewer parts and a manual trigger with a cartridge design that can be repaired in 5 minutes, its lightweight, comfortable feel improves productivity while reducing operator fatigue. Single-Component Unit. Reducing manpower from as much as three to one, the Single-Component Unit simplifies material loading and unloading, and provides a smoother, more consistent output with a drum engagement valve and convenient operating controls for operator safety and ease of use. Offering portability with availability in either a 55 or 5-gallon version, this product is the ideal dispensing unit for manufacturers of all sizes. What a year MVP has had! While 2018 saw lots of big things happening, the team at MVP is looking forward to continued growth, innovation, and success in 2019. Our goal is Creating a Better Experience for our employees, customers, distributors, shareholders, and the industries we serve. From our staff of expert personnel to our partnerships across the world, we translate family values into our business relationships to deliver the most innovative and creative solutions available on the market. 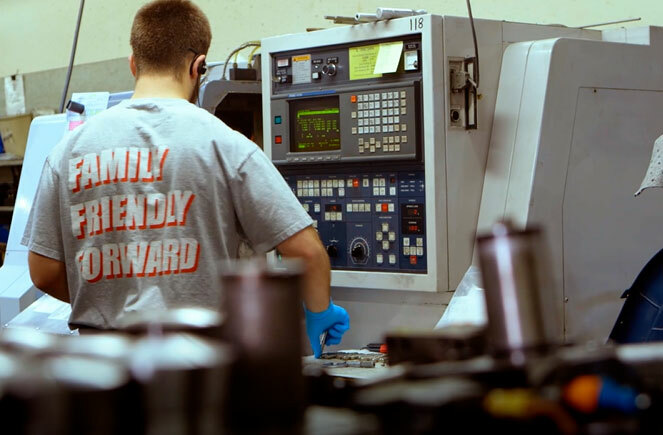 With locations and distributors to serve customers both nationally and internationally, we remain committed to providing the best customer experience in the composites equipment industry today, and tomorrow.